All sessions are half filled. Regular fee period is in effect. 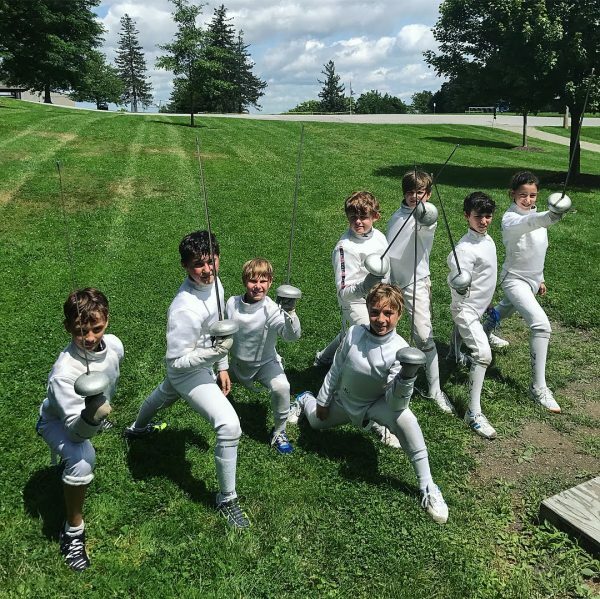 Our camps are ideal for fencers ages 10 and up with at least 1 year of experience. We focus on intermediate and advanced epee competition training led by world-class coaches. We look forward to working with these same great coaches as last year and will confirm their participation as soon as possible: Penn’s Slava Danilov, Penn State’s Alexey Sintchinov, Medeo’s Yakov Danilenko, Toronto’s Tim Svidnytsky, Allez’s Sorah Shin, Alamo’s Oksana Samorodov, FAW’s Vadim Diambekov, Vivo’s Arpad Horvath, NYFA’s Misha Mokretsov, Sergey Danilov, Yarik Ponomarenko, Anton Dutchak. More may be announced. Fencers include World and National champions, World team members, NCAA college athletes, and many of today’s best youth fencers. Countries represented in past or this summer: USA, Canada, Great Britain, France, Italy, China, Hong Kong, Greece, Turkey, Panama. Top-ranked fencers will be on staff to assist. Sanctioned tournaments will put campers’ skills to the test. Competitive fencers from all clubs are encouraged to join us for the best epee camp in the country! Cancellation Policy: If request to cancel is received by 5/20/19, NYFA credit will be issued for full amount paid. If cancelled 5/21-6/18/19, a $500 administration fee applies and NYFA credit will be issued for remainder of balance paid. Note: NYFA credit can be used for NYFA services only. If cancelled 6/19/19 or later, all fees are non-refundable. NYFA reserves the right to cancel a camp for any reason, in which case, refunds will be issued. Registration and payment are required to hold a spot. Before participating, all fees and requirements must be received on time. REGISTER & PAY: After submitting online registration, pay online by credit card, debit card or PayPal on the next screen. To pay offline, submit your online registration first, then close PayPal screen and send payment/cc authorization pdf form with check or credit card information. MEDICAL FORMS: Print and complete by parent and doctor and return by 7/18/19. USA FENCING* MEMBERSHIP: Provide valid card copy (both sides). Note: USA Fencing annual memberships expire 7/31. * International fencers may provide their national fencing federation membership card copy. Raftng will take place between the 2 Storm King Sessions and is included FREE for campers who register for multiple sessions! 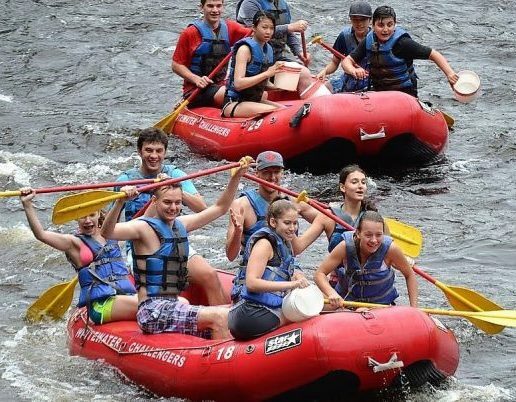 NYFA members have been enjoying this activity annually at a rafting outfitter in PA and they can vouch for the fun and safe time we’ll have. Others may join us for an additional fee, as space allows. You may indicate your interest on the registration. More info to follow. This is a special opportunity to learn from some of today’s best epee coaches. We will notify registered campers when lesson scheduling is open. Lessons will be held during free periods so no group training is missed. Therefore, availability will be limited. Prepayment of additional fees required. More info to follow. TRANSPORTATION to and from camp is your responsibility. Bus service can be arranged between NYFA in Brooklyn and camps if we get enough requests. You may indicate your interest on the registration. PARENT ROOMS may be rented at cost at Storm King (Sessions 1 & 2) by parents of young kids. Indicate interest on registration. UPDATES will be posted on this page and important information will be emailed to registered campers. If you have questions, contact us.